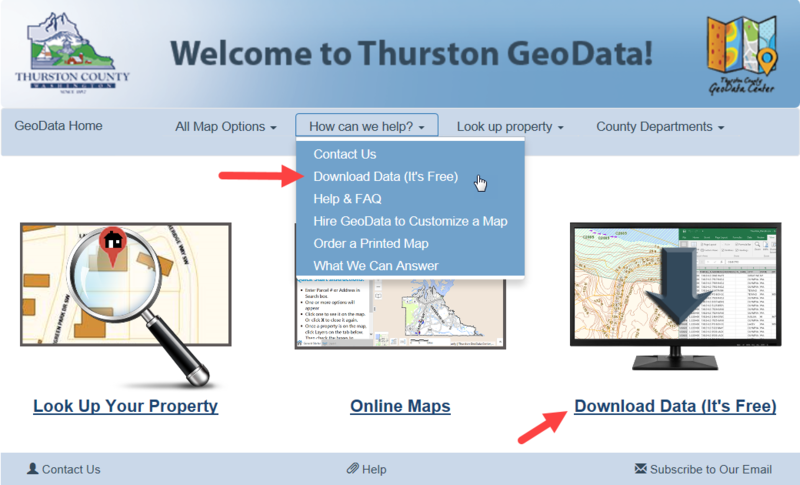 To Download data, go to www.geodata.org and click on the Download Data (It's Free) image or click on "How Can We Help?" 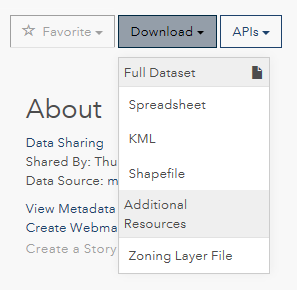 on the menu and select "Download Data (It's Free)"
Click on the layer you want to download. Click on the Download dropdown. Select the format you want to download the data in. 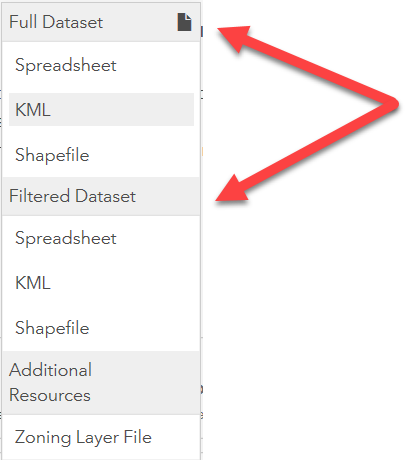 The following data formats are currently available: a Spreadsheet, KML, Shapefile, and layer file. Spreadsheets this is an excel format spreadsheet that can be used to view just the tabular/attribute information. 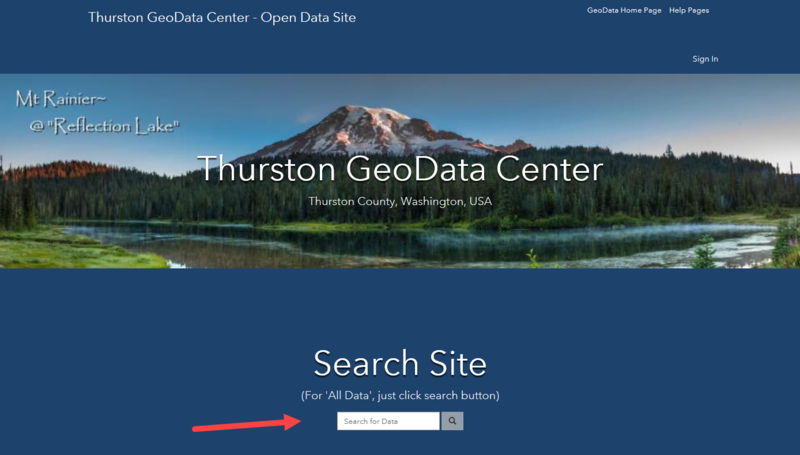 KML (Keyhole Markup Language) files can be loaded to Google Earth and some other types of mapping applications. Shapefiles are spatial datasets that can be used in a mapping application, for example: ArcGIS, AutoCAD Civil 3D, FME, etc. This file includes all the tabular/attribute information. 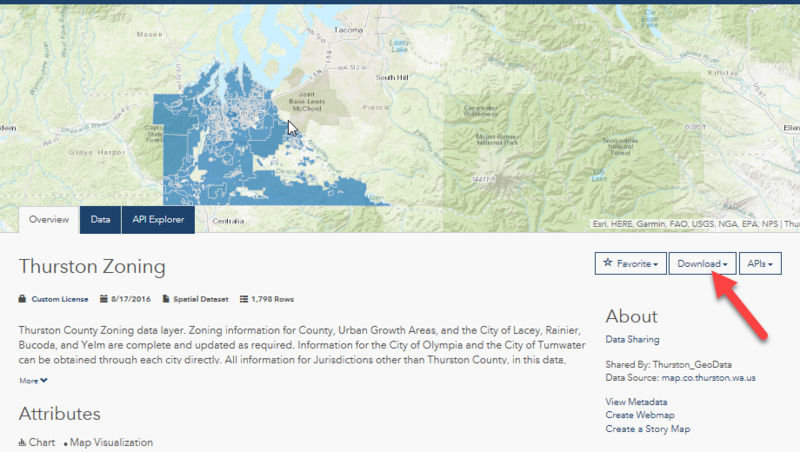 Layer Files are ArcGIS symbology files that can be used to display the layer using a predetermined set of symbols, colors and labeling standards. This file is used with the Shapefile and is supported by Esri applications. 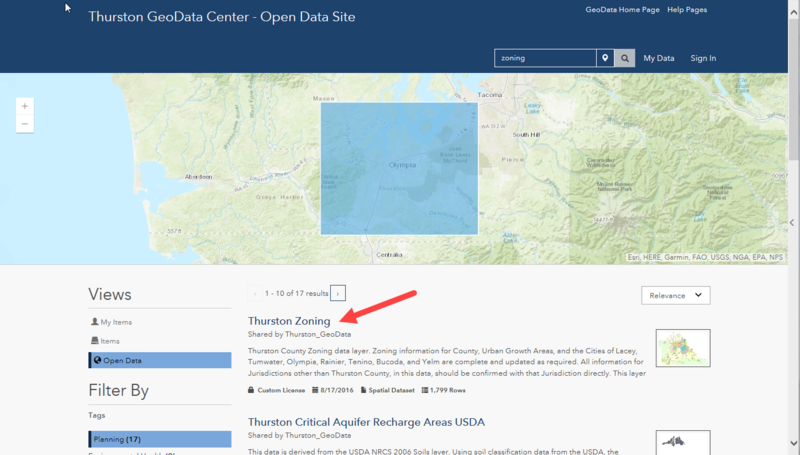 Note: If you have applied and filters on the Data tab you will have the option to download the full or filtered dataset, see Filtering Datasets for more information about how to do this. Once you have selected your download format, the data will begin to download. Click Open or Save to complete the download process. 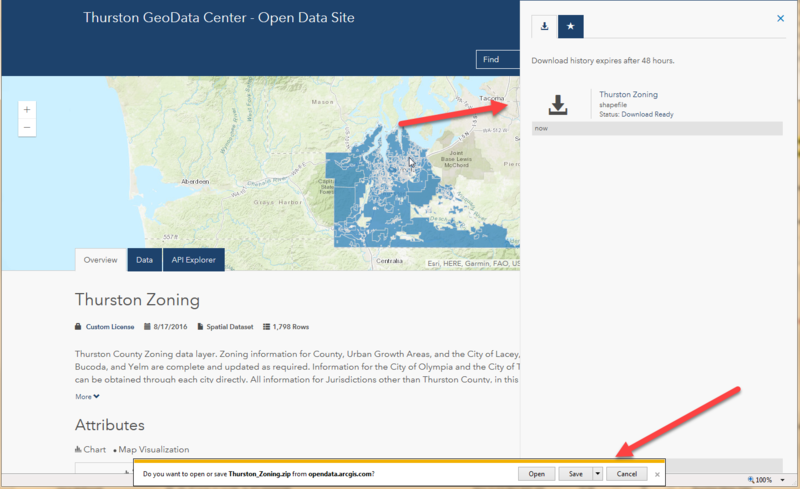 For more information on downloading data see the following Download help pages.